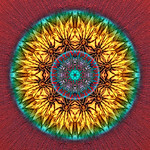 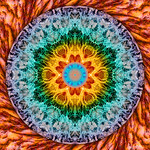 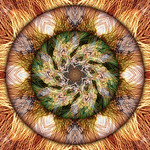 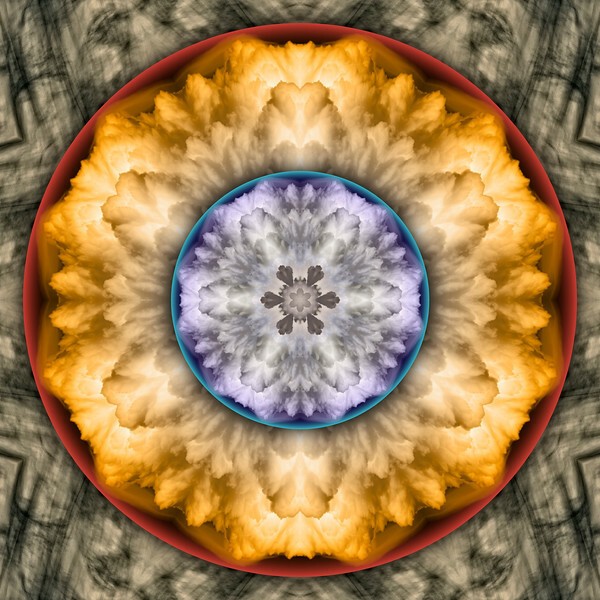 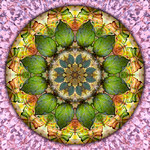 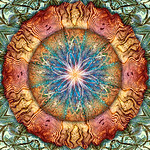 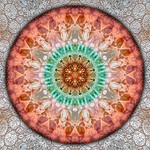 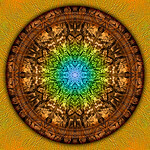 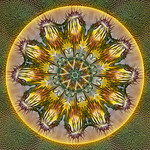 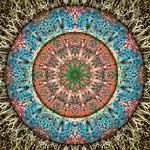 Photo mandalas created from images close up & far away, deep in the forest & out in the desert, up in the sky & down under water, and all around the town. 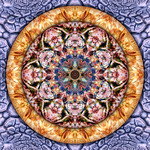 The beauty of natural & manmade environments is transformed into illuminating & meditative mandala images. 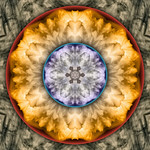 Mist glides across the tops of towering Cumulus clouds, tinged with bright yellow-orange and serene lavender purple in the center, all in a brilliant red circle floating above a rocky striated abstract landscape. 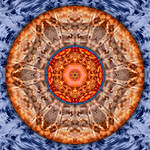 From photographs of Cumulus clouds.